2x4 was invited to be part of “The Futures Project,” an exhibition at the Alabama Contemporary Art Center in Mobile. The exhibition featured projects by visual artists and designers focusing on thematic ideas about the future. Asked to consider this topic in relation to areas of communication and information our project, titled “Future Present,” explores the transient state of communications and the transformation of information from one source to another. Through digital, visual and sound interactions, we explored the ways that communication inherently shifts and transforms through these processes to take on new meaning. 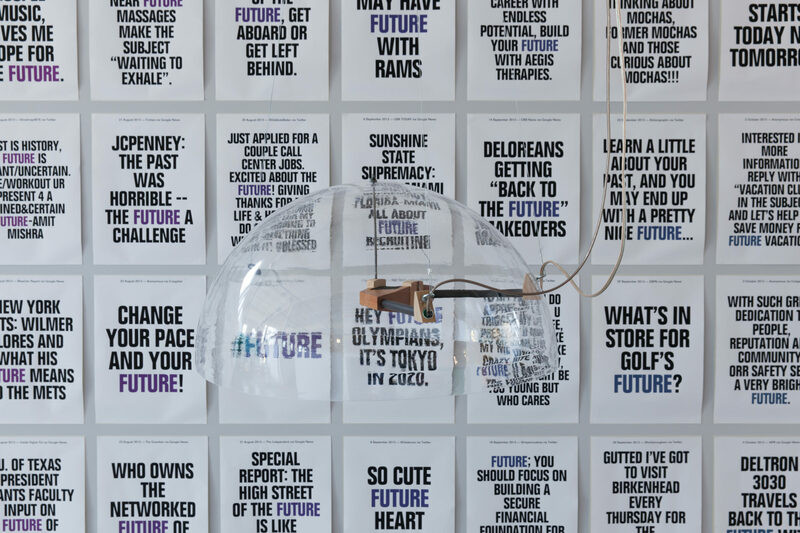 Our custom software combed through posts to Twitter, Craigslist, and local news websites for the word “future.” Each sentence was then formatted it into a digital poster and simultaneously broadcast through sound domes throughout the gallery. 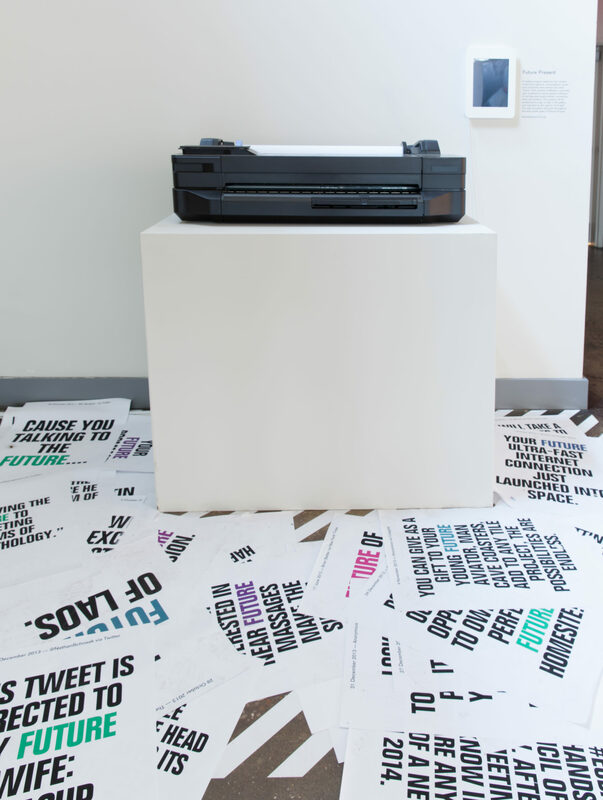 A live blog displayed each poster as it was created and printed live in the gallery on a large format printer. Once a day, a poster was selected at random and hung on the gallery wall, which gradually filled during the 8-month run of the exhibition. By using this website, you agree that the site and its partners may store and access cookies on your device. Learn more.